Oysters, mussels, manila clams and cockles are part of the Norman heritage. 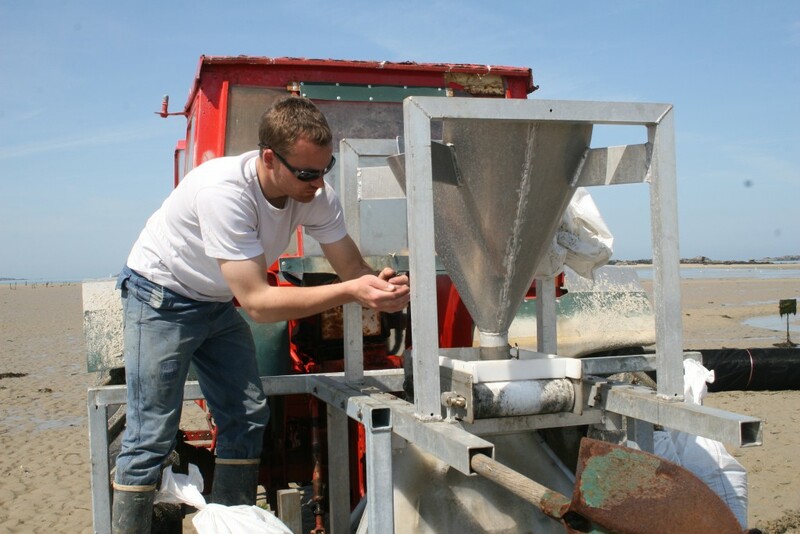 Shell farming plays an important part in the local economy and Normandy is indeed one of the biggest French shell farming producer. These tasty shells grow on the beaches of the west side of the Cotentin region that are swept by prevailing winds and strong tidal currents. The main characteristics of the oysters from Blainville sur Mer – like all the ones farmed on the West coast, are their iodised taste and their strong flavour. 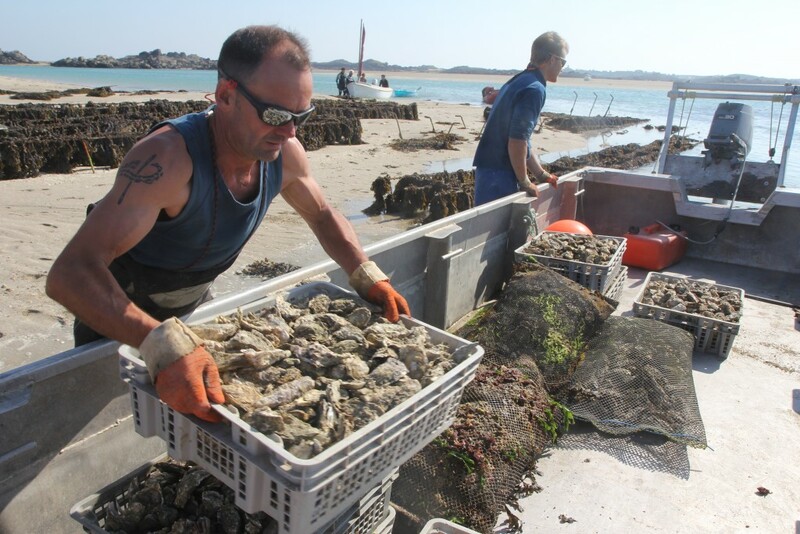 The Chausey oysters, that are distributed through a more tighter network, are really unusual and have an extremely nice fruity flavour, something which everyone has to taste. These so-called open-sea oysters, are more than just food, they are a delicatessen full of force and vitality. You can taste them in many different ways : immediately after opening, without anything or with a drop of vinaigrette or various sauces or cooked in a thousand differet ways. As part of a Party meal or just as a snack, with a lovely glass of water. No matter how you will taste them, the oysters will always be synonymous with conviviality. Oysters are well-known for other health benefits. Vitamin C, oligoelements with antioxydant properties, antidepressant and anti-fatigue, the list of benefits has no end. They contain proteins but no calories with just 2 to 3% of fat. 8 oysters contain as much calcium as a dairy product. What better food can you dream of ! You can eat the oysters from Normany all year round. They are just more dense and meaty between the end of February and the end of April. During the reproduction period, in July and August, they are said to be « milky », during that period they contain a higher percentage of glucids. It is up to everybody’s taste. It is impossible to be on the seafront without having mussels, on their own of with French fries, they give you instantly a holiday-feeling ! Bouchot mussels (reared on wooden poles) are typical of the Normandy beaches and can be spottred easely. 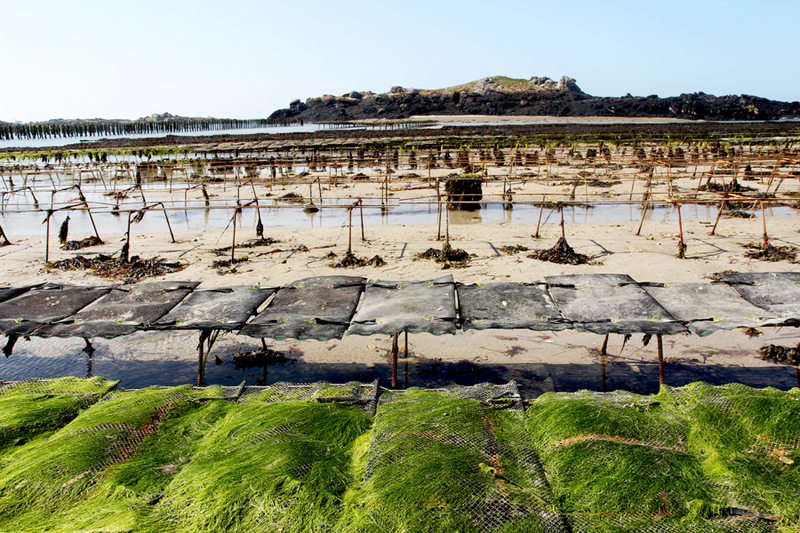 This is the way mussel farming is done in Normandy. Just like oysters, mussels are very good for health. They are rich in proteins and poor in lipids. They contain a high level of calcium, magnesium, iron, zinc and selenium. They also contain the vitamins B8, B12 ad E with antianemic properties, that can be found in the orange/yellow flesh and that contributes to having a good skin and improved nervous cells. Just go ahead, taste them in many different ways : marinière, with curry, barbecued on embers , as tapas, with fillings, it is always a great dish to have with friends. This lovely small shell curved and striped consists of a white nut and orange coral. They are reared completely free, buried in the sand where tides go in and out and in the bays. You can make beautiful recipes with cockles, in mariniere, in soups, with parsley, with rich Normandy cream and why not in a risotto. 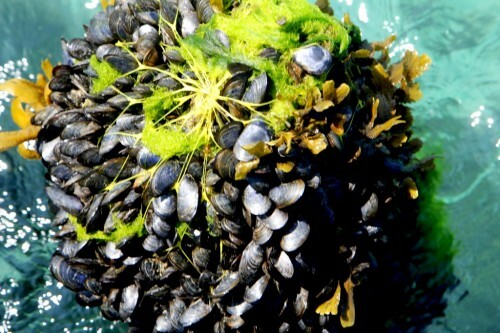 Just like oysters and mussels, cockles are good for you, they are particularly rich in phosphor, iron and zinc, they help you fight against fatigue and enhance intellectual and physical performances as well as the immune system. They contain calcium, magnesium and iron, protein and only few lipids. Clams are synonymous with a delicate and thin flesh. They are « planted » manually or thanks to a special machine, they are put down in a selected area and covered with a net to protect them form predators. They grow buried in the sand and can be cropped 2 or 3 years later thanks to a machine. The clam can be proud to be the most energetic shell, it contains an amazing amount of iron and vitamin B12 together with a nice amount of protein.